here was no need for further flights. The politicking had worked – sort of. 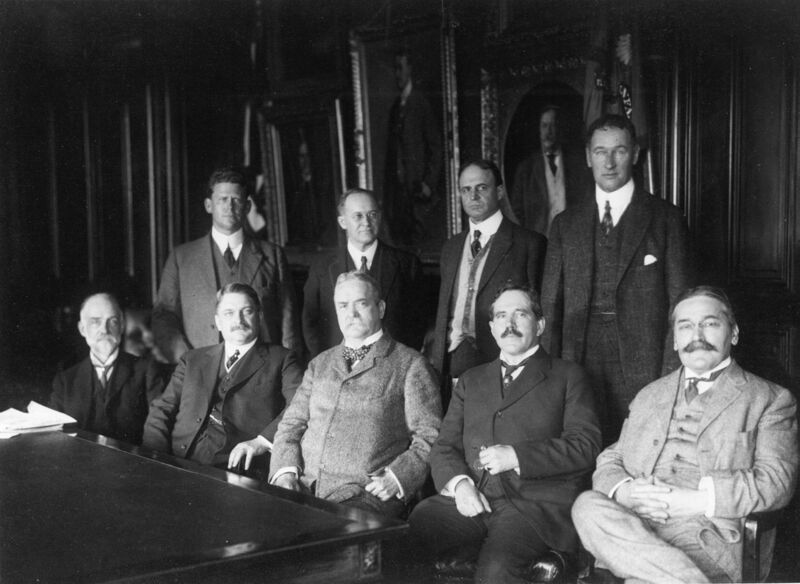 On March 3, 1915, Congress had created the National Advisory Council for Aeronautics (NACA) "to supervise and direct the scientific study of the problems of flight with a view to their practical solution." It was established as an entity separate from the Smithsonian or any other institution – not exactly what Walcott had wanted. However, Walcott was appointed to the governing council, made head of the executive committee, and was then chosen to lead the new NACA a few years later. He remained in control for the rest of his life. And he was eventually able to build an experimental facility with Langley’s namesake, although the Langley Memorial Aeronautical Laboratory ended up in Newport News, Virginia rather than Washington DC. It was a not-so-classic case of a politician not getting his cake and eating it anyway. It also solved Curtiss’ problems, although not in the way that he had expected. Orville never took full advantage of the patent suit that he had won. Once the Wright patent was awarded pioneer status, the Wright Company re-filed against Curtiss but no one else. Curtiss filed for an extension and continued to ship airplanes, as did many other American manufacturers – in short, nothing changed. Instead of moving to create a patent monopoly, Orville concentrated on buying up stock from the shareholders of the Wright Company. In October 1915, when he had acquired the majority of the stock, Orville Wright sold the Wright Company along with its patents to a group of New York investors led by mining tycoon William Boyce Thompson. Over the next year the reconstituted Wright Company acquired the Crane-Simplex Automobile company and the Glenn L. Martin Aircraft Company, then renamed this expanded manufacturing conglomerate as the Wright-Martin Aircraft Corporation. The Wright-Martin partners had paid somewhere between $250,000 and $500,000 for the Wright patent, and to make back their investment they began licensing the patent as the Wright Company had done years before. On 18 December 1916, Wright-Martin sent letters to all the major American aircraft manufacturers asking them for a fee of 5% of the cost of each new airplane with a $10,000 annual minimum. While this wasn't as drastic as a patent monopoly, it was nonetheless perceived as a potential burden to the aircraft industry – especially by the industry’s biggest customer, the U.S. military. 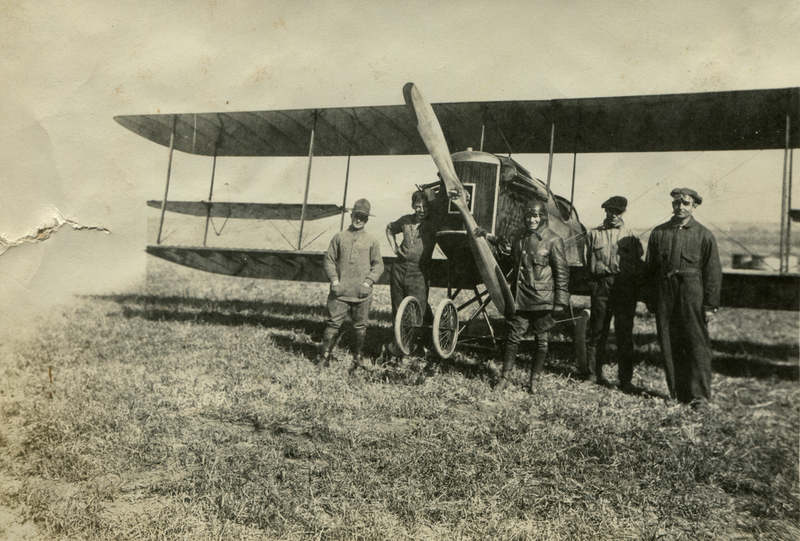 As the First World War progressed and America’s participation loomed, the military had increased their orders for airplanes. Curtiss reported sales of $6 million in 1915, and in October 1916 the Wall Street Journal reported that he had $11 million in orders. That would more than double before the end of the year. The military feared that with orders on the rise, the aircraft industry would pass the licensing fees on to them. 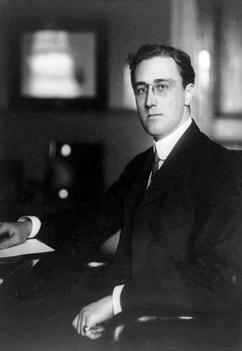 In response, the War and Navy departments met with Charles Walcott in late December of 1916, after which the Franklin D. Roosevelt – then the Assistant Secretary of the Navy – sent a letter to NACA on 13 January 1917 calling it’s attention to a “serious state of affairs…brought about by the uncertainty of the situation as regards aeronautic patents.” He asked that NACA study the situation and suggest “some line of action to be taken.” This was well outside of NACA’s charter; it was responsible for research in aeronautic science and had no authority over the aviation business. But such was Walcott’s reputation as an effective politician that the military came to him for a solution. On 5 February 1917, Walcott sent a letter to President Woodrow Wilson, advising him of the “patent situation,” quoting Roosevelt’s letter, and claiming that airplane manufacturers had “greatly increased the sale prices of their products.” He also indentified the Wright patent as the single greatest cause of this looming problem and suggested that the government secure all the troublesome aeronautical patents “by purchase or condemnation.” Secretary of the Navy Josephus Daniels sent a copy of Walcott’s letter to the Chairman of the House Committee on Naval Affairs, along with President Wilson’s approval. Chairman Lemuel P. Padgett attached a rider to a naval appropriation bill then before Congress “…to enable the Secretary of War and the Secretary of the Navy to secure by purchase, condemnation, donation, or otherwise, such basic patent or patents as they may consider necessary to the manufacture and development of aircraft in the United States and its dependencies, for governmental and civil purposes...” The bill was passed 13 February 1917 and the military assigned this responsibility to Walcott. 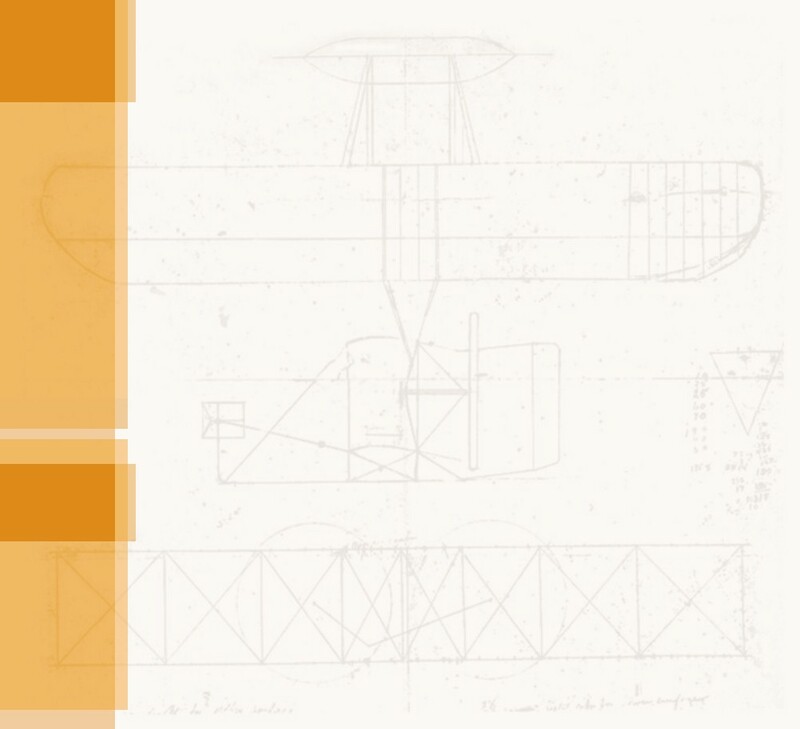 On 20 February 1917 – before the bill was signed into law – NACA sent letters to the major American aviation manufacturers, requesting them to submit lists of the patents they owned. On 23 March, NACA floated the idea of a “patent pool” to the manufacturers. Instead of a 5% royalty for patents, as proposed by Wright-Martin, the government would pay 1.25%. Not surprisingly, the manufacturers resisted. But NACA had a very big carrot and a very big stick to convince them to cooperate. The carrot was the promise of increased orders for airplanes, engines, and other aviation equipment. The stick was the threat of “condemnation.” Since the government had awarded the patents, it could also take them away. Wright-Martin and Curtiss agreed to the pool in June 1917 and were immediately rewarded with multi-million dollar contracts. Other major companies followed in July. NACA incorporated the patent pool as the Manufacturer’s Aircraft Association (MAA). Dr. Joseph Ames of John Hopkins University, a member of the NACA board with no known business interests, was listed as the first incorporator. Of all the members, Curtiss benefited most from MAA patent pool. Upon joining, a manufacturer was freed from “…any and all claims which they or any of them may have had against each other for damages and profits on account of any infringement, or alleged infringement.” Not surprisingly Curtiss’ lawyer, W. Benton Crisp, had written the agreement. Curtiss never had the need or the opportunity to try the Aerodrome defense in court. Orville no longer had any financial interest in the Wright patent, of course, but he was also affected by the MAA in a subtle yet important way. With the advent of the patent pool and the threat of a patent monopoly lifted, the negative press that the Wright name had suffered for waging the “patent wars” stopped. Slowly, the Wright brothers’ reputation began to recover. The public perception of Orville changed from that of a greedy industrial magnate to the grand old man of aviation. 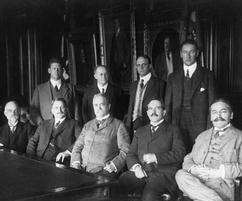 The first meeting of the National Advisory Council for Aeronautics on 23 April 1915. Seated from Left to Right: Dr. William Durand, Stanford University, California, Dr. S.W. Stratton, Director, Bureau of Standards, Brig.Gen. George P. Scriven, Chief Signal Officer, War Dept, Dr. C.F. Marvin, Chief, United States Weather Bureau, Dr. Michael I Pupin, Columbia University, New York. Standing: Holden C. Richardson, Naval Instructor, Dr. John F. Hayford, Northwestern University, Illinois, Capt. Mark L. Bristol, Director of Naval Aeronautics, Lt. Col. Samuel Reber, Signal Corps, Aviation Section. Also present at this meeting were Dr. Joseph S. Ames, Johns Hopkins University, Baltimore, MD, and Hon. B. R. Newton, Asst. Secretary of Treasury. Not present was Charles Walcott, Secretary, Smithsonian Institution. All twelve of these men were appointed by President Woodrow Wilson. Orville Wright would be asked to join the council in 1920. 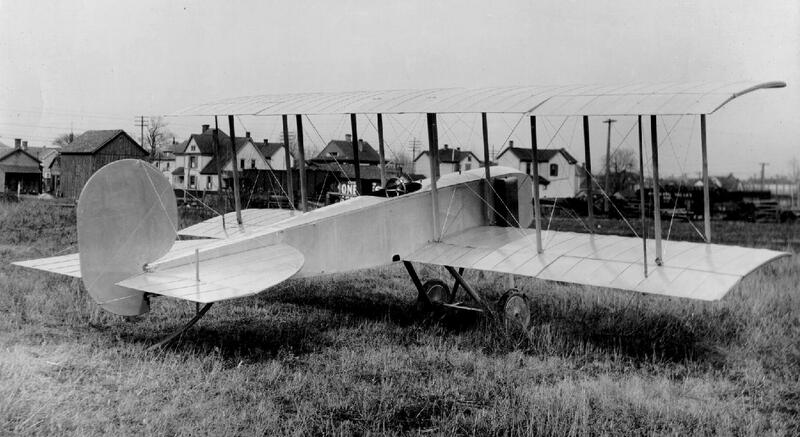 The 1916 Wright Model L was the last airplane produced by the Wright Company. By this time, Orville had sold the company and was only serving as an advisor. That same year, the Wright Company would merge with the Glenn L. Martin Aircraft Company and the Crane-Simplex Automobile Company to form the Wright-Martin Aircraft Corporation. 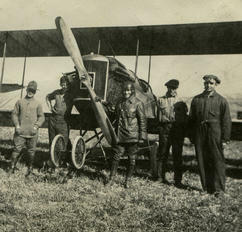 Glenn Martin (in flying togs) with a 1915 "Martin T" tractor biplane he designed for the U.S. Army. Martin left the Wright-Martin Aircraft Corporation within a year of the merger and started another airplane company. Wright-Martin went on to merge with Curtiss' company in 1929 to become the Curtiss-Wright Corporation. Franklin D. Roosevelt as Assistant Secretary of the Navy in 1913. He occupied the the same position as his fifth cousin, Theodore Roosevelt, in 1897.